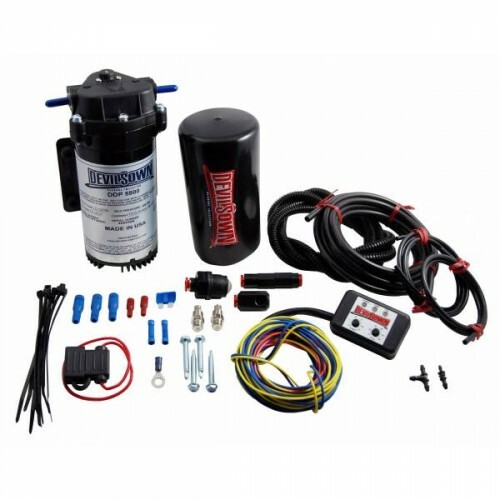 This kit is designed for all petrol normally aspirated vehicles, looking to Decrease DET & intake charge temperatures yet maintain or Increase BHP figures. These kits have been proven time and time again in street, race and drag applications. The kit contains all the components needed yet provides a simple and straight forward installation that doesn’t require you to be a mastermind mechanic or tuner to fit. These kits are by far the best available! The kit allows you to run more advance ignition and lean out air fuel ratios. This kit utilizes a PROGRESSIVE CONTROLLER for activation, it reads the signal from any 0-5v sensor (MAP, AFM, MAFF, EGT) which converts into an electrical signal, allowing the user for an example to say start flow at 15% @20psi vacumm and then ramp the flow upto 100% by 10psi vacumm allowing you to create a very linear flow which inturn will create a smooth power/torque graph. This kit will fit any NA petrol engine etc. Injector (please supply engine cc & max rpm so we can supply appropriate sizes).